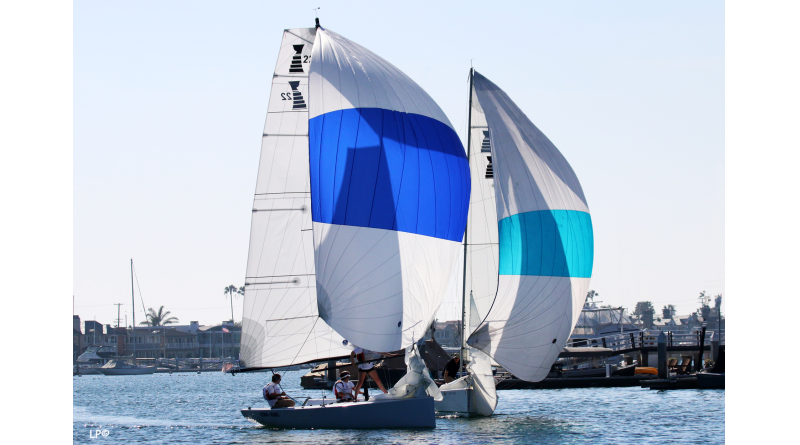 The racers selected to race in the 2016 Governor’s Cup hosted by Balboa Yacht Club on July 17-23, will race on new Governor’s Cup 22 sloops. NEWPORT BEACH — Twelve of the finest youth match racers in the world have been invited to compete in Balboa Yacht Club’s Governor’s Cup International Youth Match Racing Championship scheduled for July 17-23. Eleven of the skippers were chosen based on their sailing resumes or by virtue of their having previously won the Governor’s Cup. A final, twelfth invitee will be determined by results of the U.S. Youth Match Racing Championship (USYMRC) for the Rose Cup in mid-June. “Although it seems to get more competitive each year, this fleet is undoubtedly the best ever,” said Bill Wakeman, chair of the selection committee. Sailors invited to the competition include three former winners: Sam Gilmour, Perth, Western Australia; Nevin Snow, San Diego, California; and Harry Price, Sydney, Australia. For the first time Japan will be represented with a team led by Leonard Takahashi. The teams will race on new Governor’s Cup 22 sloops which are lighter, longer and have more sail area than other boats used for Governor’s Cup type events worldwide. They were funded primarily through contributions from Balboa YC members with assistance from builder Westerly Marine and other partners North Sails, Gougeon Brothers, Samson Cordage, Harken Marine and Hall Spars. The Governor’s Cup was founded in 1967 with a trophy donated by then-California Governor Ronald Reagan. James Spithill, two-time winning skipper of the America’s Cup, leads a large group of Gov Cup alumni which include some of the finest sailors in the world including a virtual “who’s who” of America’s Cup, Olympic and round the world race winners. Many of these alumni are expected to participate in a three-race alumni regatta on July 16 before the premiere of Gary Jobson’s retrospective 50th anniversary movie at Lido Theater in Newport Beach. This year’s 50th anniversary celebration will also include a visit by the America’s Cup and the Congressional Cup at the July 18 opening dinner. More information can be found at balboayachtclub.com.